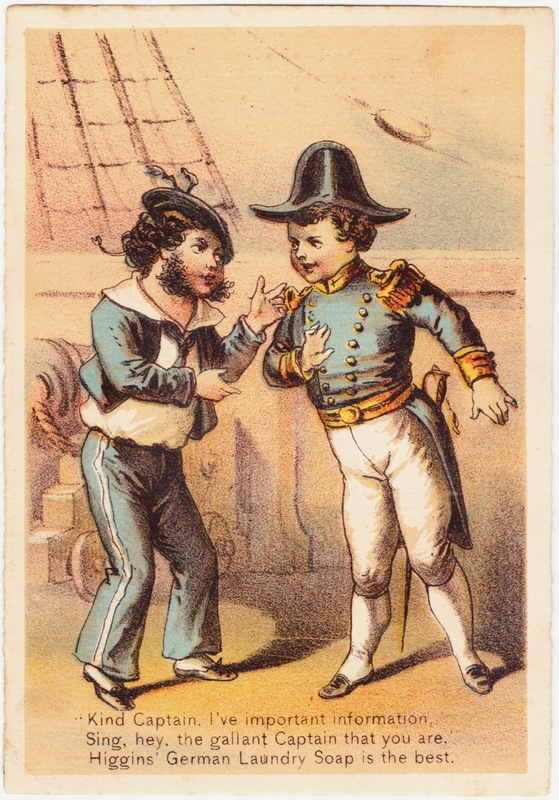 And this week's theme of "Ephemera for Lunch" will be Victorian advertising trade cards. Partly because they're so cool and partly because it's a good way to work through my backlog of these. Sing, hey, the gallant Captain that you are." Higgins' German Laundry Soap is the best. It's OK. I don't get it, either. The back of the advertising reads like a miniature almanac page, with a recap of all of the U.S. presidential elections through the controversial election of 1876. It also lists the number of electoral votes for each state and reminds people that the next presidential election is set to occur on November 2, 1880. Ephemera for Lunch #10: P. Fleischner & Co.